Orange Regional Medical Center has been named as Soliant’s Most Beautiful Hospital in the U.S. for 2017. Soliant Health, a leading specialty healthcare staffing provider and part of Adecco Group, has for the ninth year in a row turned to hospital staff, patients, and community supporters to determine the Top 20 hospitals worthy of “Most Beautiful Hospital in the U.S.” distinction. With more than 50 nominations on average, Soliant opened up the contest to a month-long voting period to determine its winners. This year, Soliant received more than 100,000 votes and Orange Regional Medical Center earned first place. 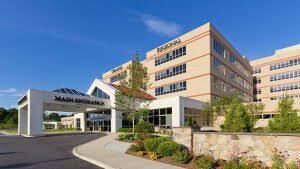 As part of the Greater Hudson Valley Health System, Orange Regional serves nearly half a million people living in New York’s Orange, Sullivan and Ulster counties. Equipped with 383 beds, it employs more than 2,400 healthcare professionals at its main campus in Middletown.